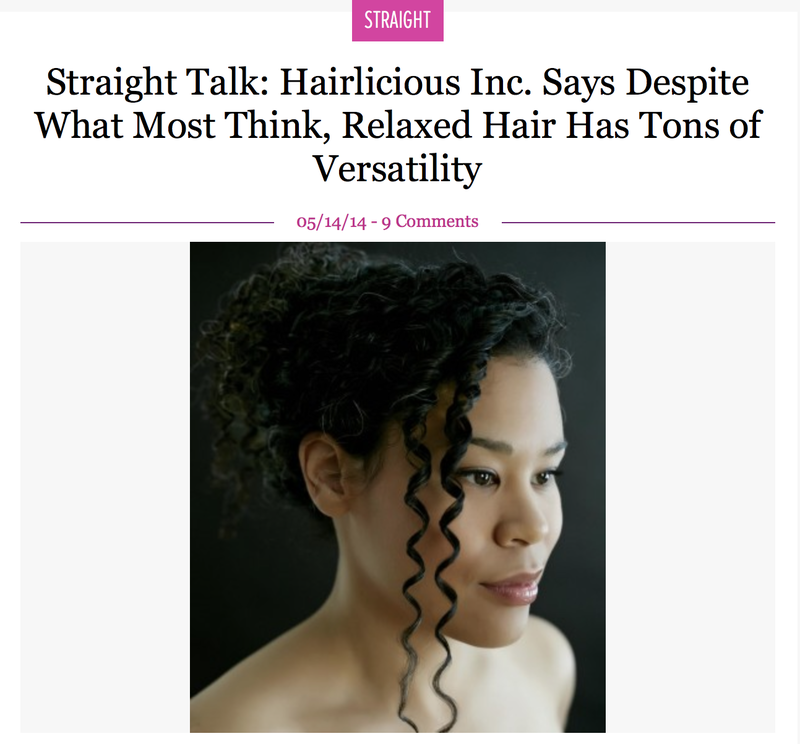 ESSENCE.com Straight Talk: Despite What Most Think, Relaxed Hair Has Tons of Versatility - Hairlicious Inc. When you think about relaxed hair, the first definition that comes to mind is 'chemically processed hair that's predominantly worn straight.’ Relaxed hair is typically perceived as hair that is worn bone straight with the assistance of a flat iron or blow dryer. I must admit, prior to my hair journey, I only new three styles: a ponytail or bun, or straight down. That was it! Yes, relaxed hair is chemically processed to be straight; however, many do not know the flexibility relaxed hair possesses.